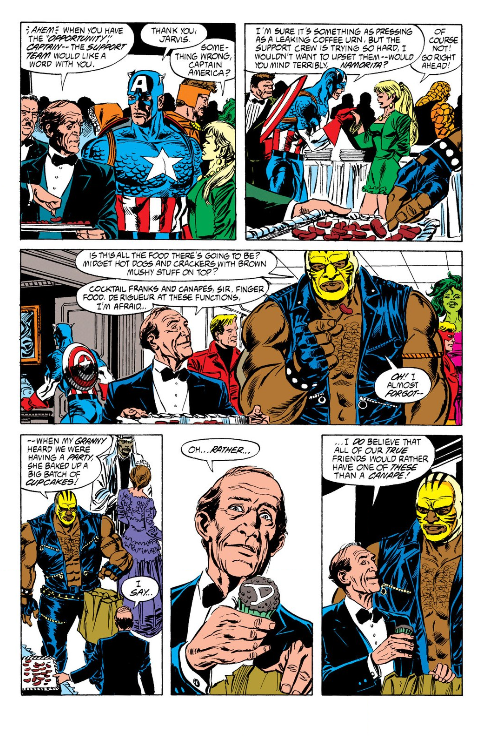 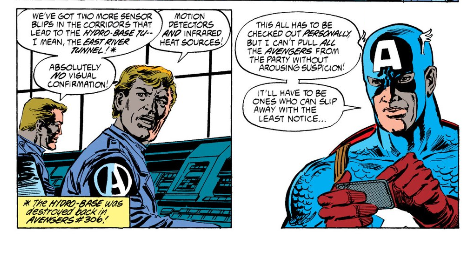 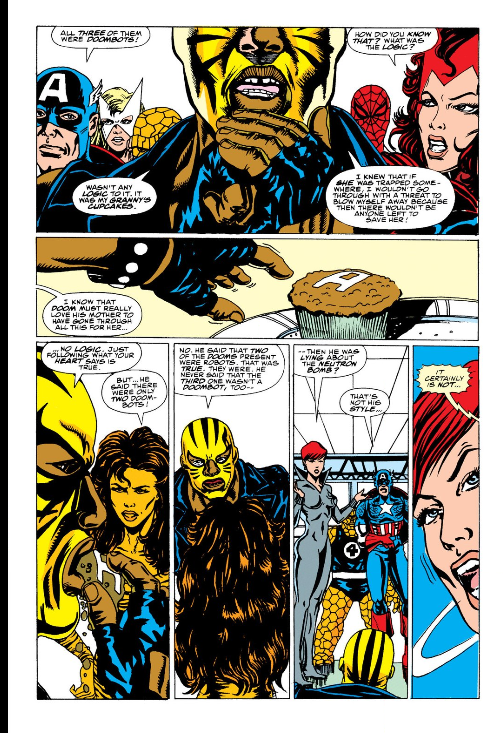 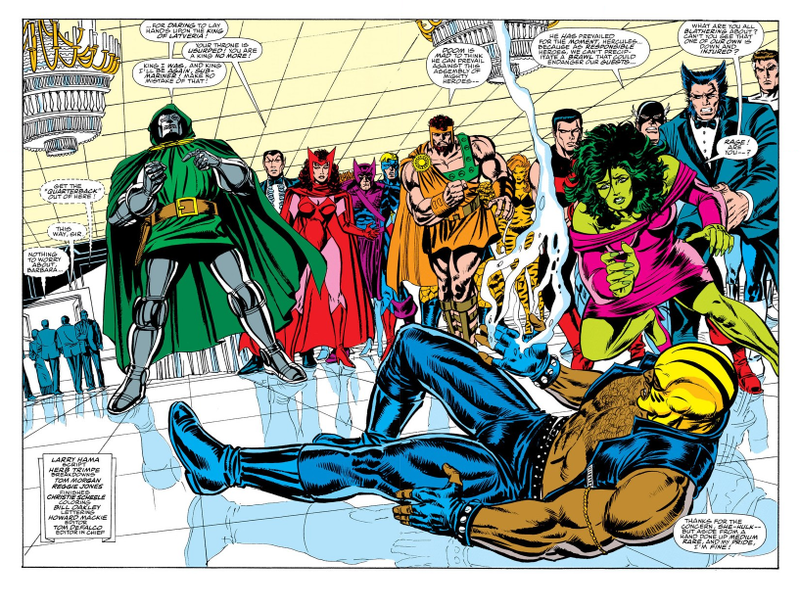 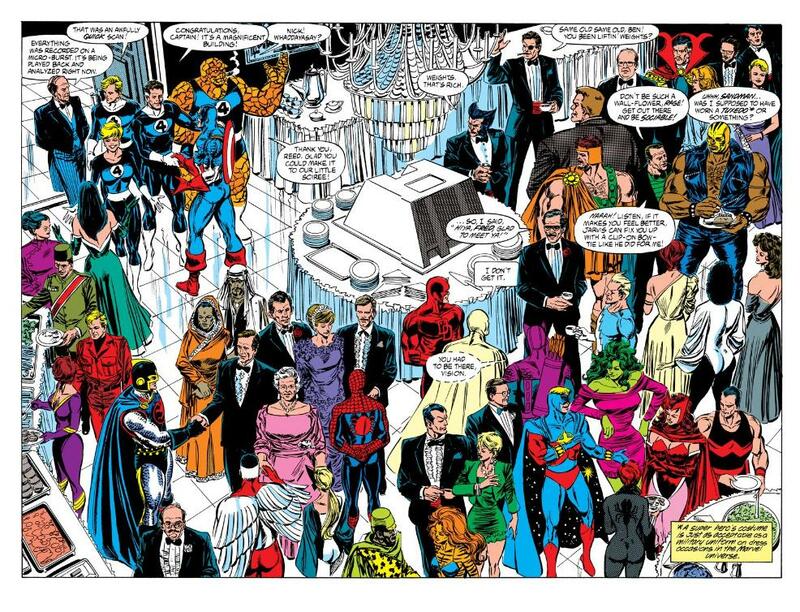 The christening party of the new Avengers headquarters. 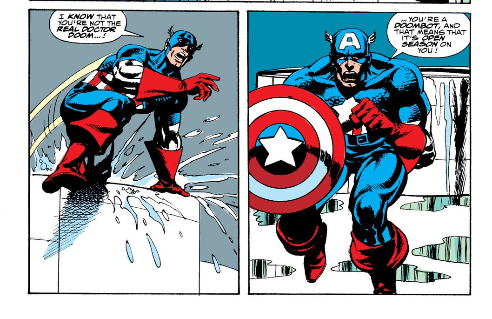 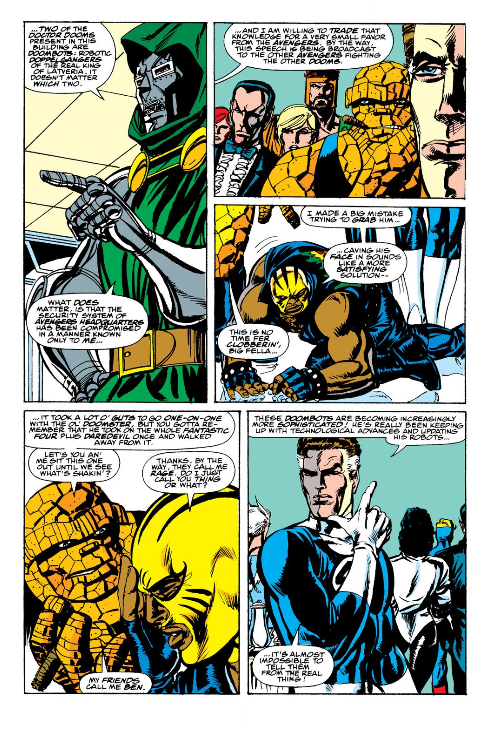 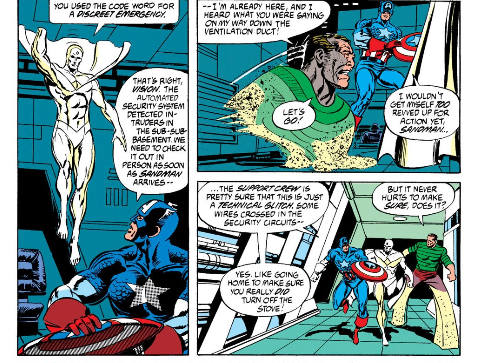 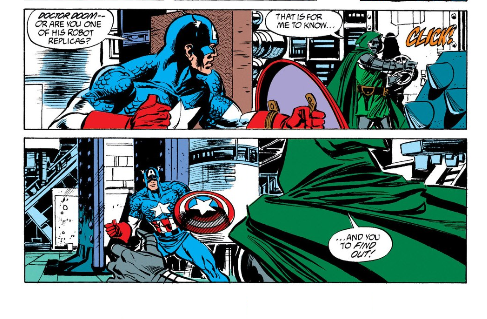 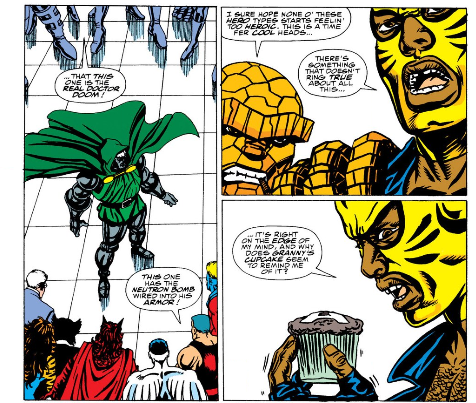 Vision and Sandman engage one Doom, while Cap finds and engages another in different parts of Headquarters. 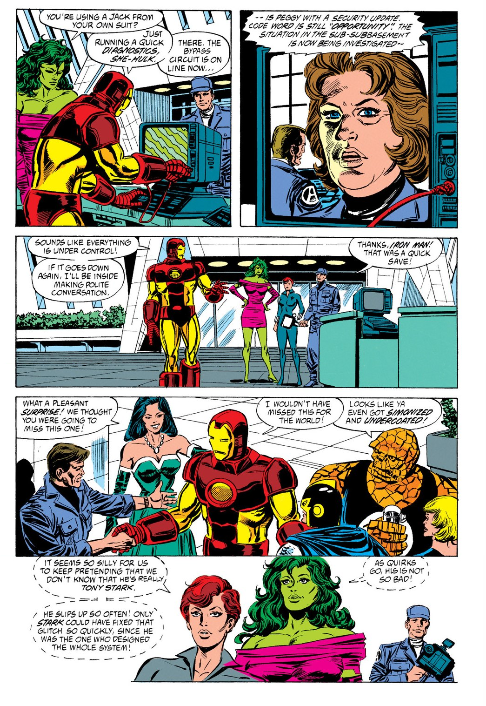 They realize Iron Man never went through the security scan. 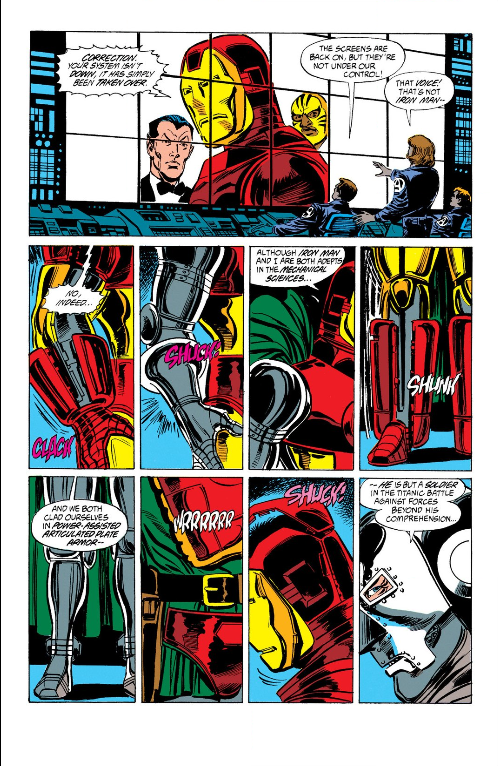 Vision also concludes he and Sandman are dealing with a Doombot and both are destroyed. 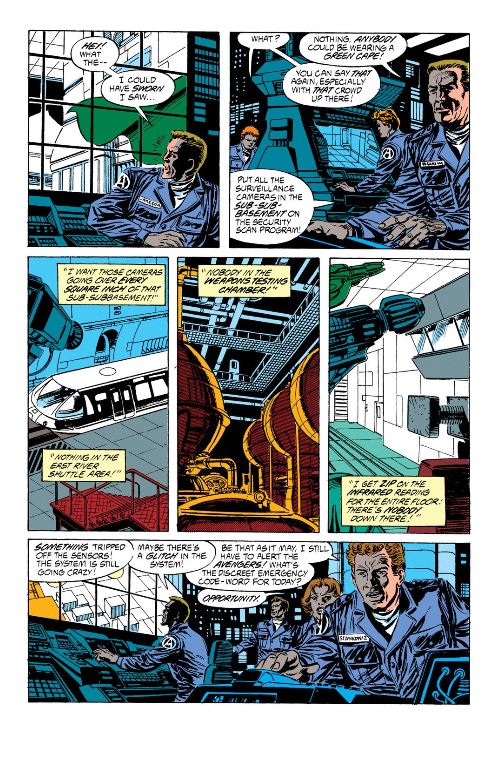 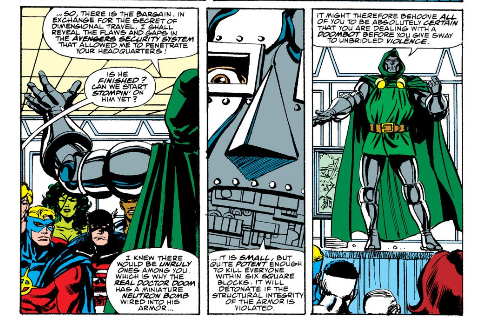 Vision reveals that the Doombots came in through a tunnel too small for a human in pieces and then re-assembled themselves. 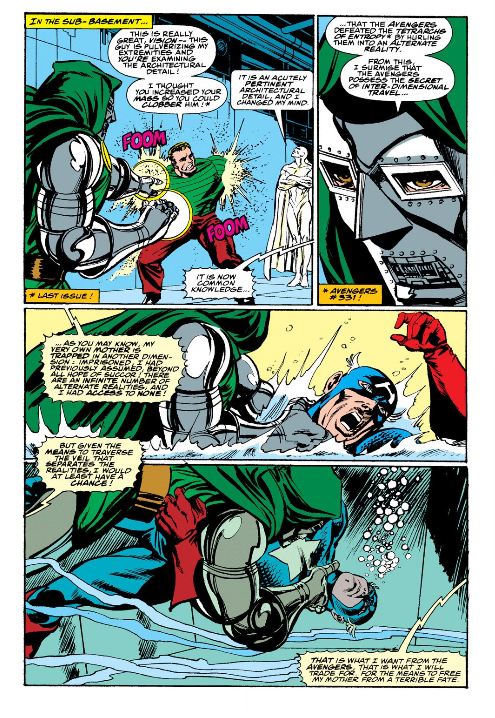 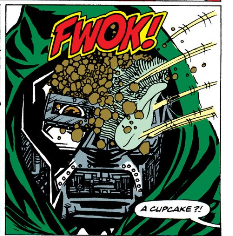 Rage takes the head off the last Doom revealing it too to be a robot. 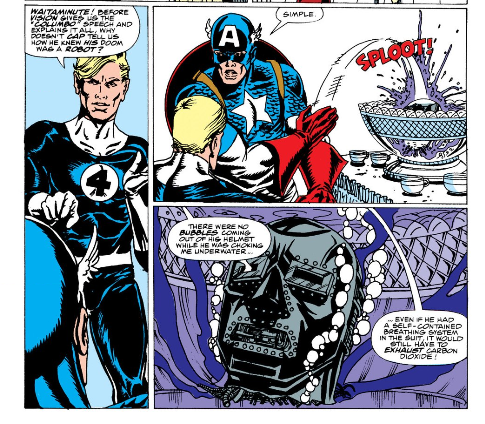 "And your friend Rage is right, I would do all this again, and more to save my mother." 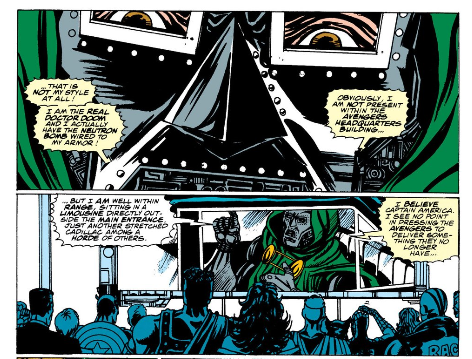 --So this came out after Torment and Triumph where Doom's mother was freed from the Netherworld so is this story just set earlier, or did something else happen?